Below you can learn more about and register for upcoming Cardinal Mooney events! 16th Annual Celebrate Mooney Auction! 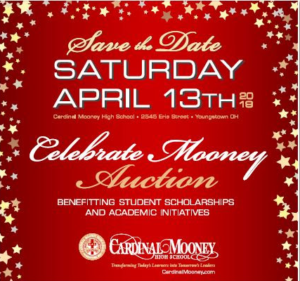 Join us in supporting Cardinal Mooney at our 16th Annual Celebrate Mooney Auction on Saturday, April 13, 2019! Proceeds benefit student scholarships and academic initiatives at Mooney! This year, our honorary Chairwoman will be Ms. Nancy Shugart! Join us as we celebrate our Mooney Family! 16th Annual Celebrate Mooney Purse Pull! 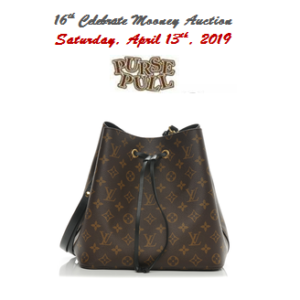 This is the one that you want…the 16th Annual Celebrate Mooney Purse Pull is at hand and… it’s… a…LOUIS VUITTON Neonoe Purse valued at $1,590! It could be yours at $20 per ticket! Go to Celebrate Mooney Purse Pull Tickets to buy your tickets today! Buy your tix today! Trust me, this one won’t last! solve problems and win prizes! • Please arrive no later than 6:30 for registration and to obtain the student’s team assignment. • Please enter through the GYM doors (back parking lot). You will be greeted by a faculty member or CMHS student. • A parent/ guardian will need to remain at CMHS with any student participating. • Pizza & refreshments will be provided!